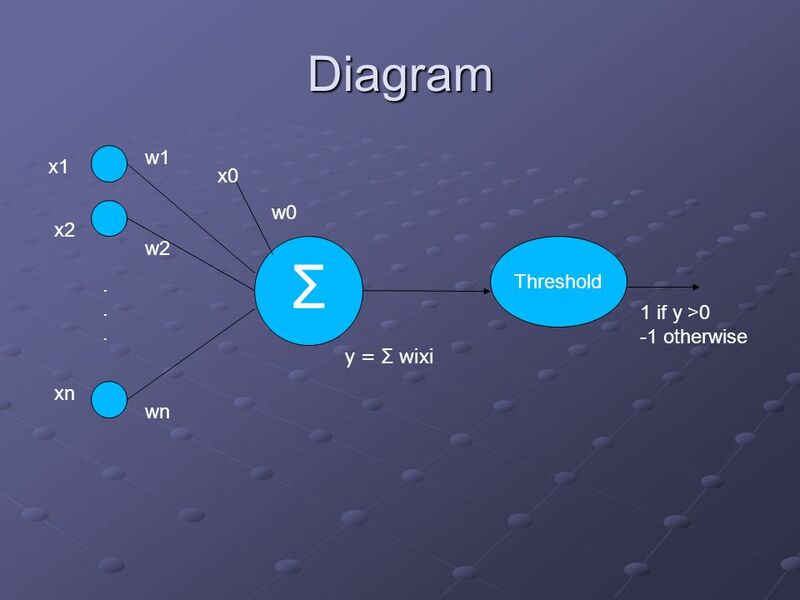 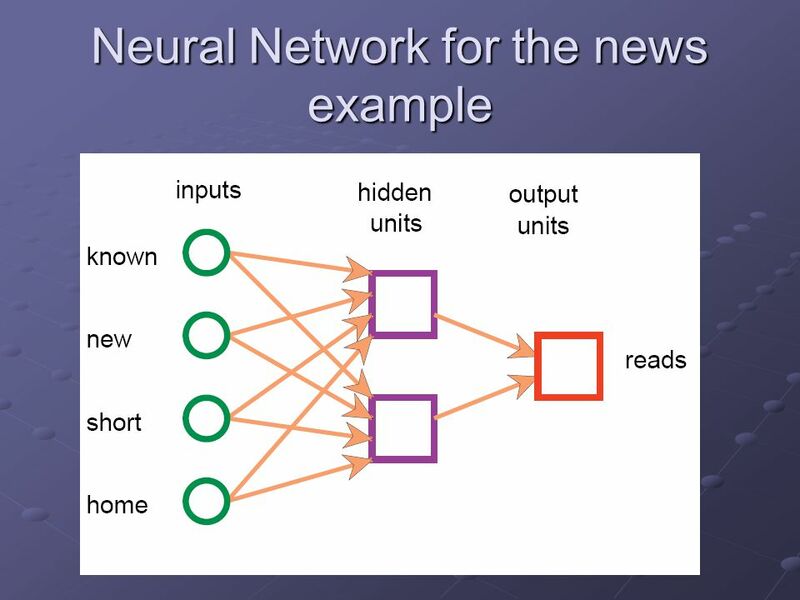 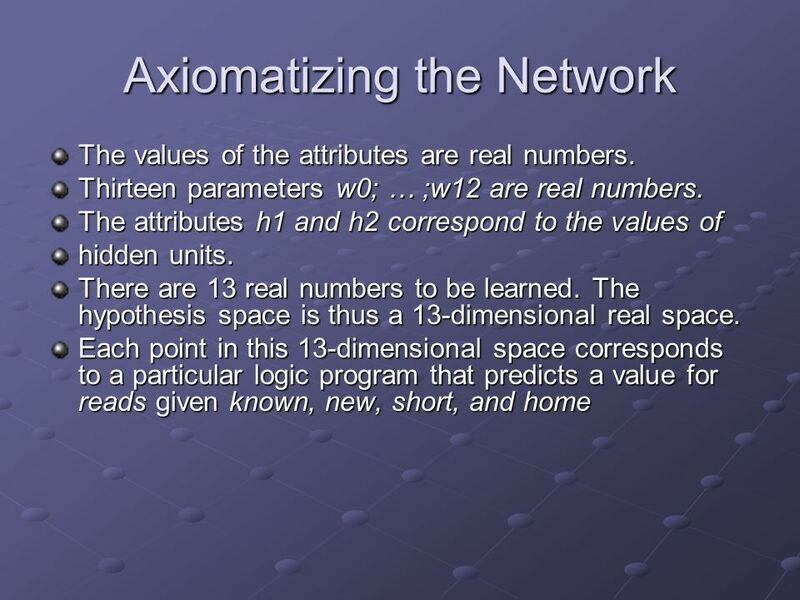 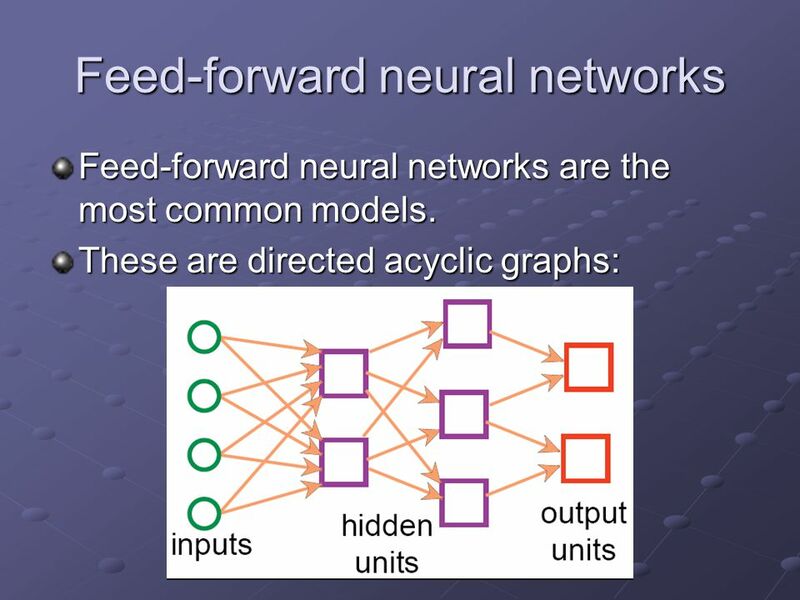 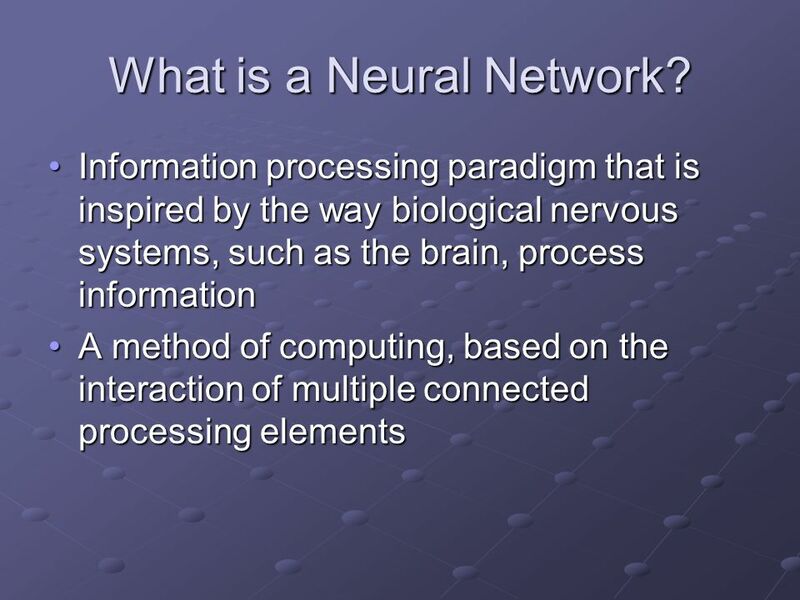 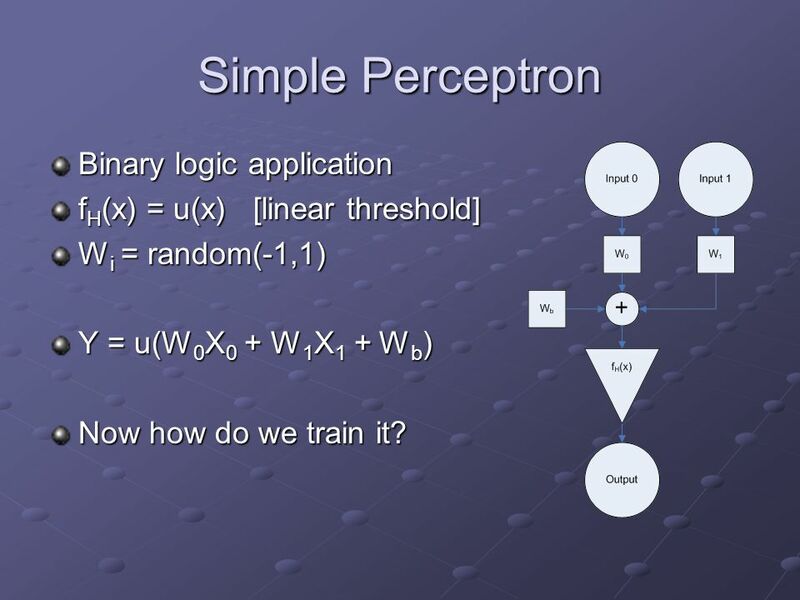 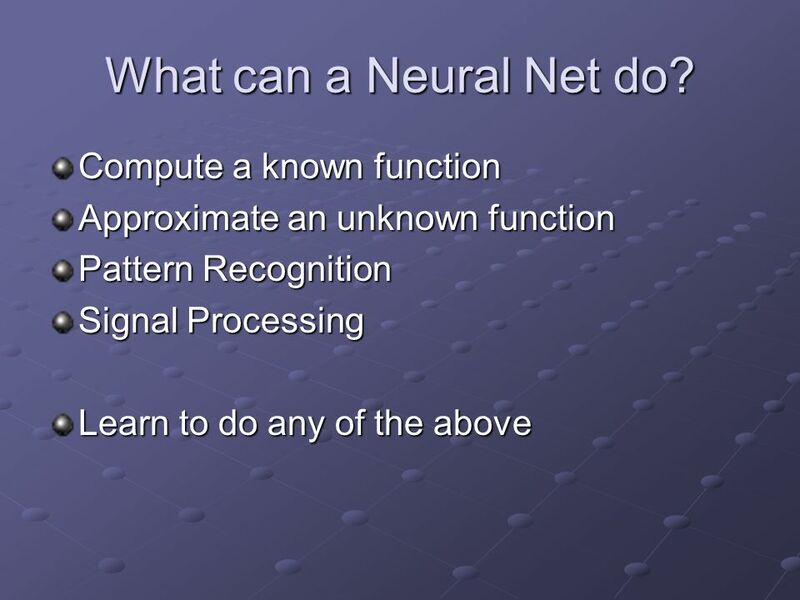 2 What is a Neural Network? 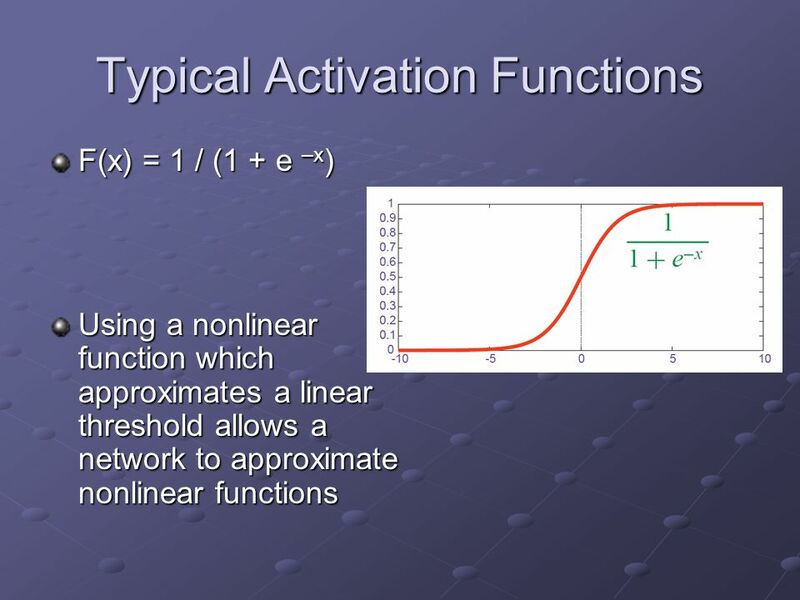 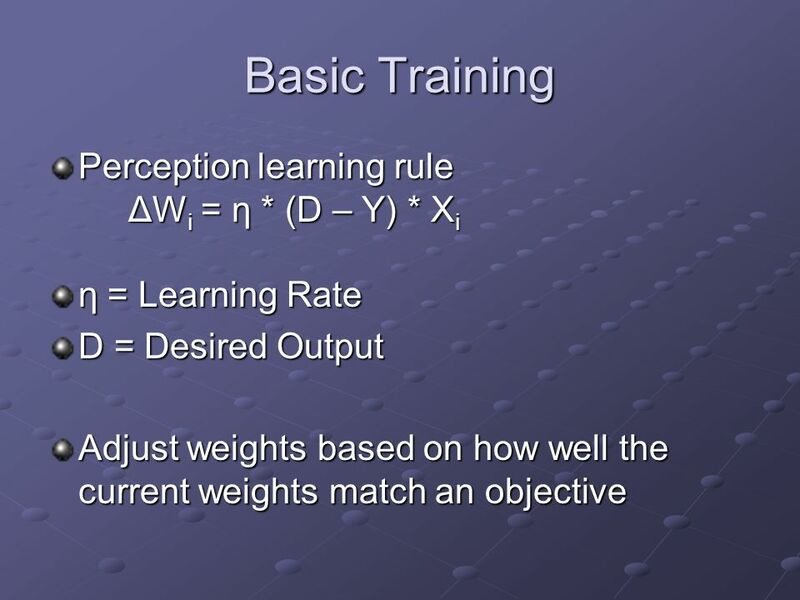 fH(x) = u(x) [linear threshold] Wi = random(-1,1) Y = u(W0X0 + W1X1 + Wb) Now how do we train it? 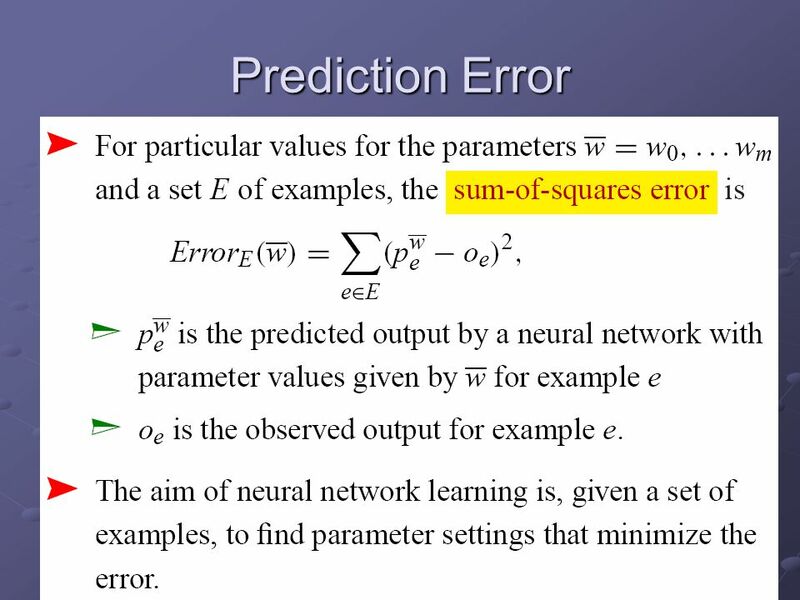 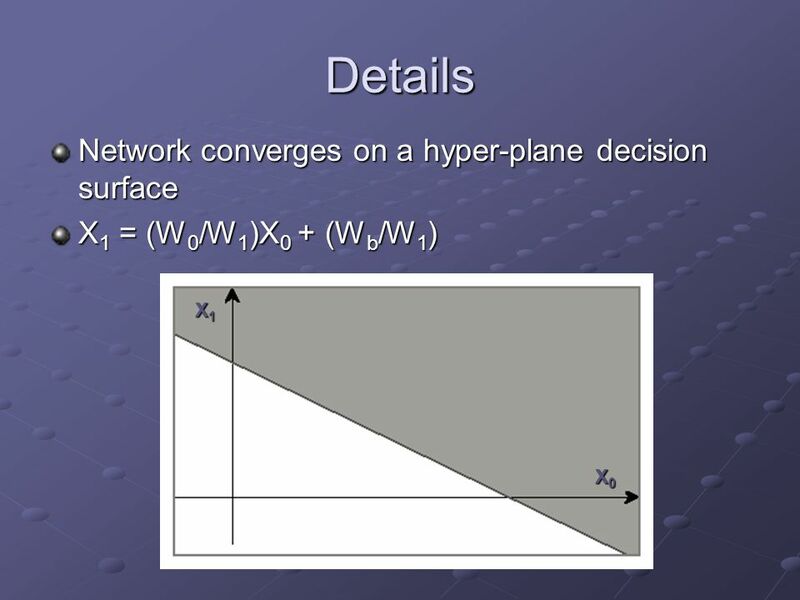 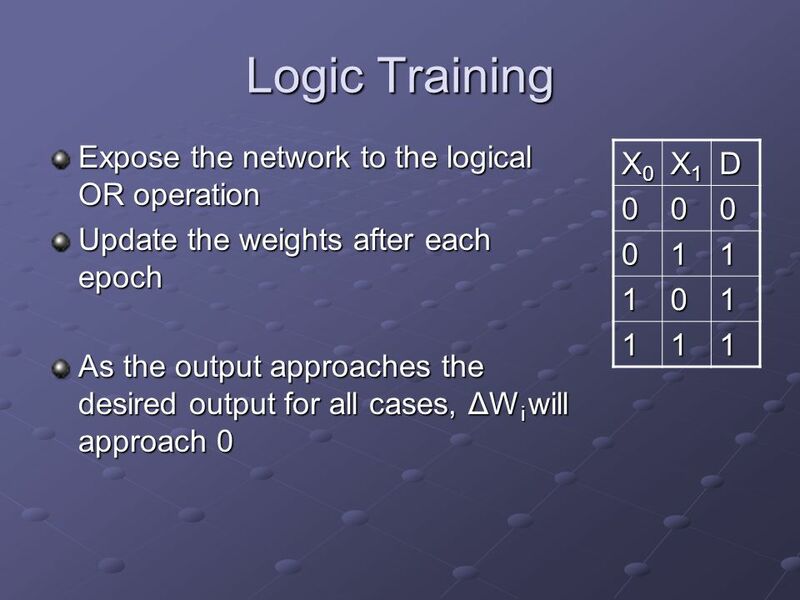 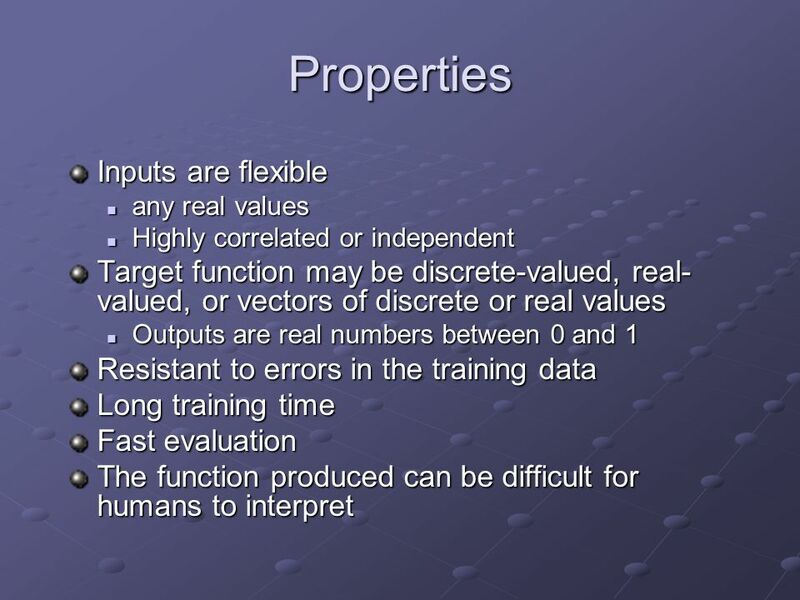 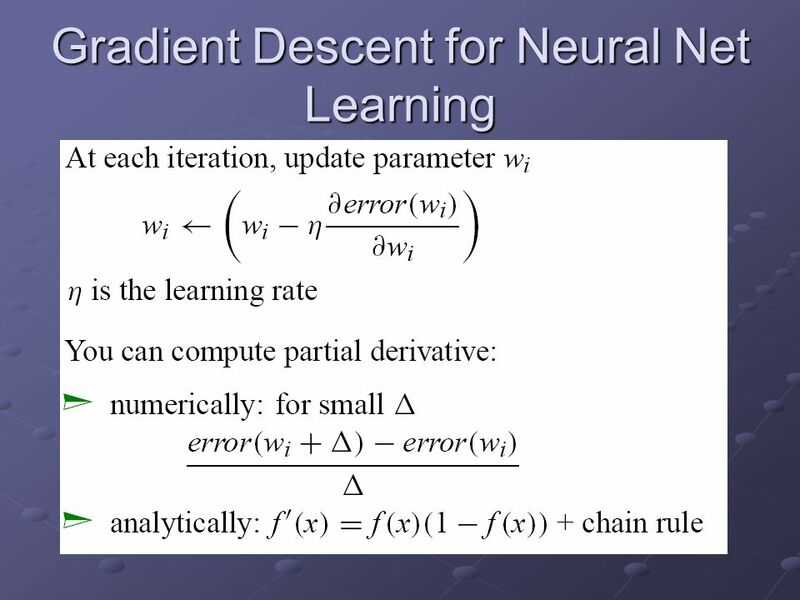 Aim of neural network learning: given a set of examples, find parameter settings that minimize the error. 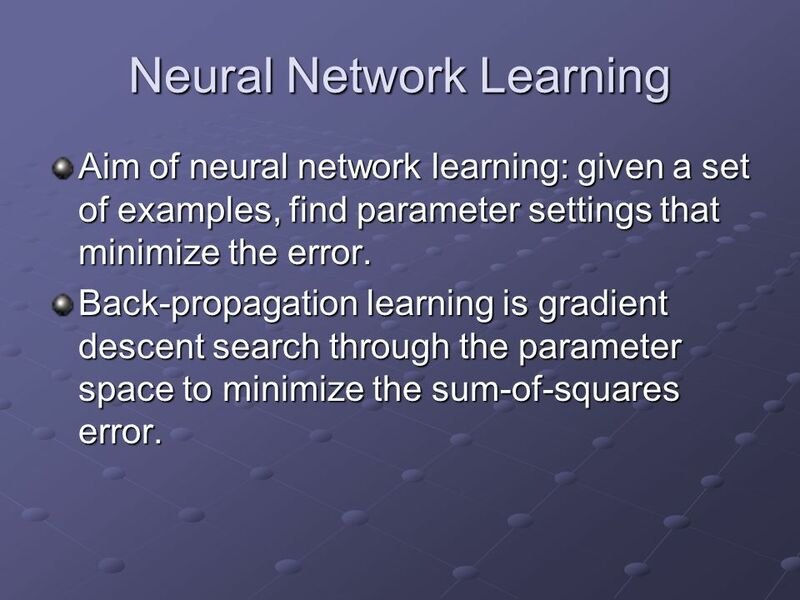 Back-propagation learning is gradient descent search through the parameter space to minimize the sum-of-squares error. 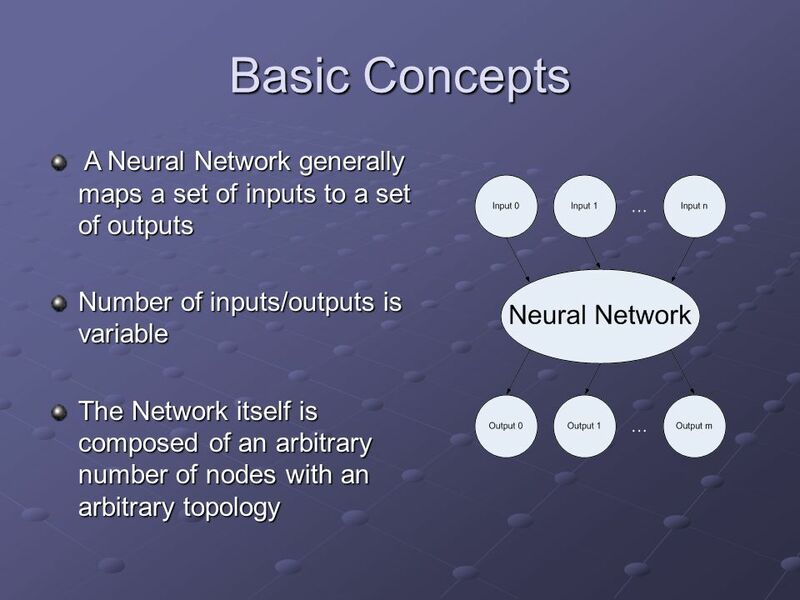 It’s easy for a neural network to represent “at least two of I1, …, Ik are true”: w0 w1 wk This concept forms a large decision tree. 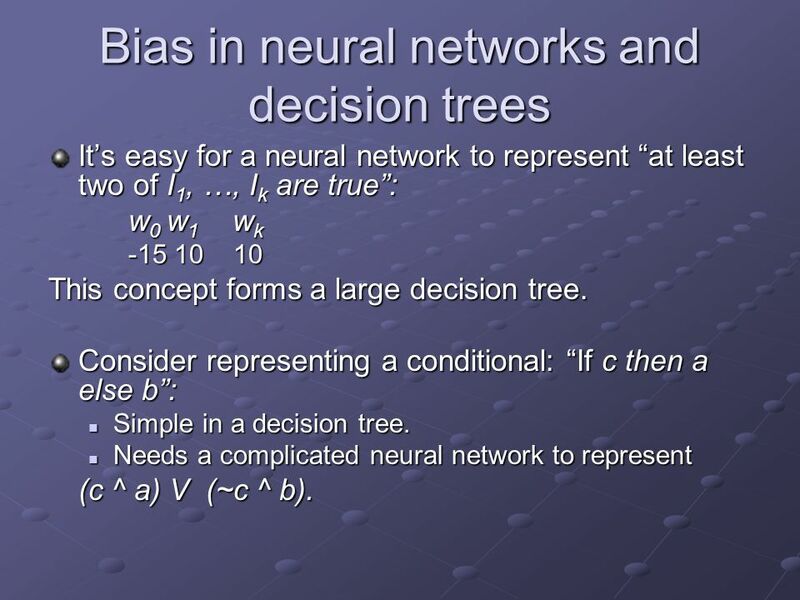 Consider representing a conditional: “If c then a else b”: Simple in a decision tree. 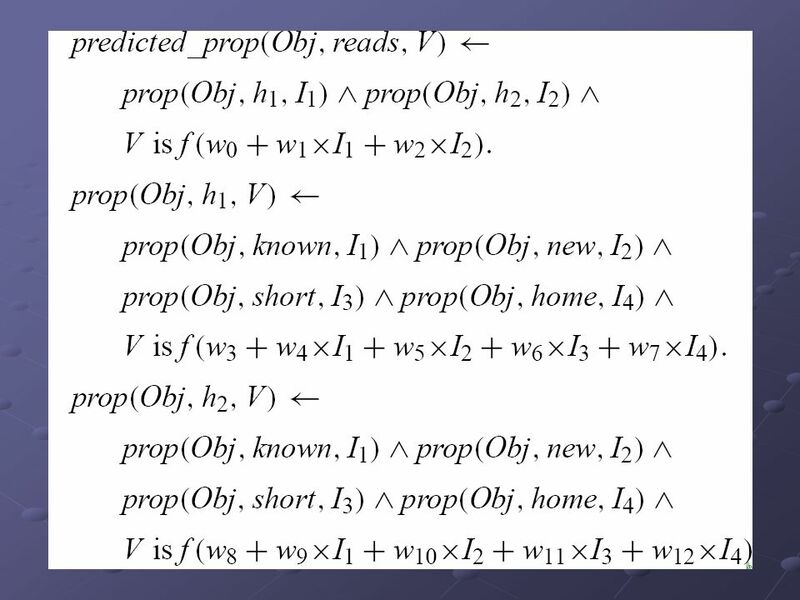 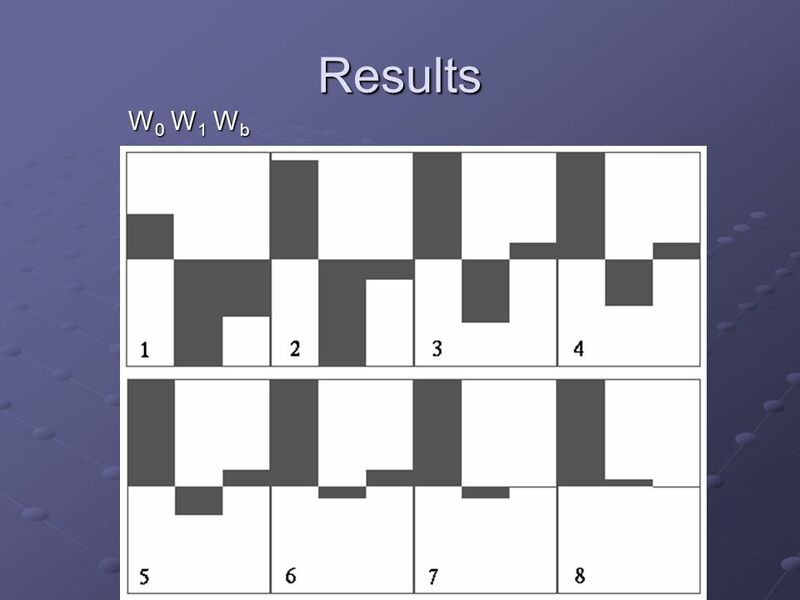 Needs a complicated neural network to represent (c ^ a) V (~c ^ b). 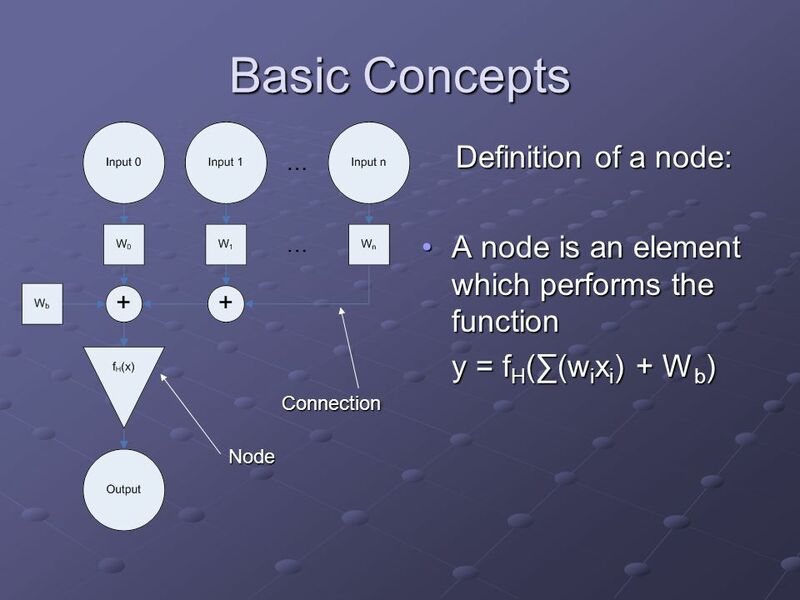 Meaning is attached to the input and output units. 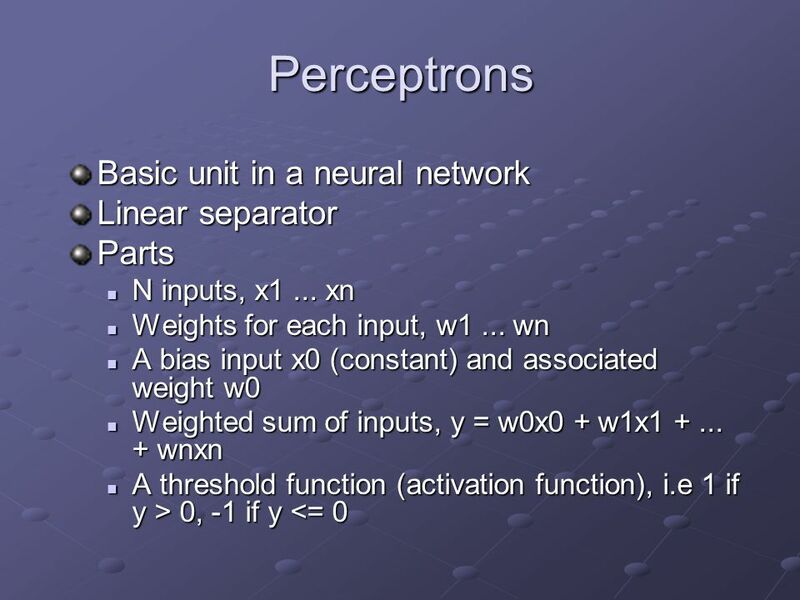 There is no a priori meaning associated with the hidden units. 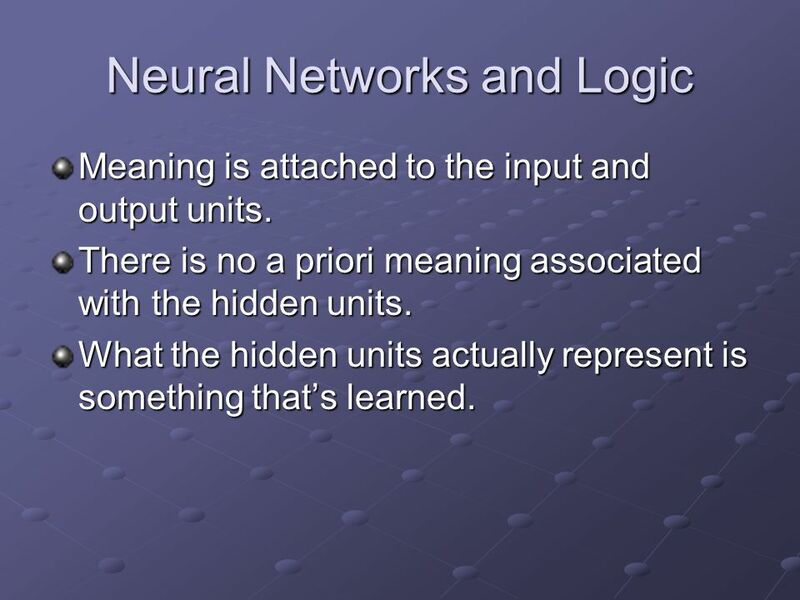 What the hidden units actually represent is something that’s learned. 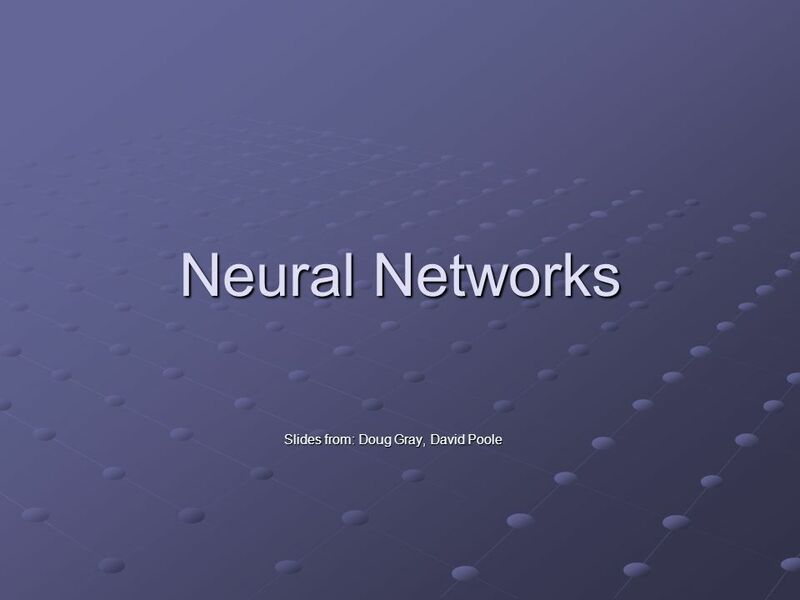 Download ppt "Slides from: Doug Gray, David Poole"